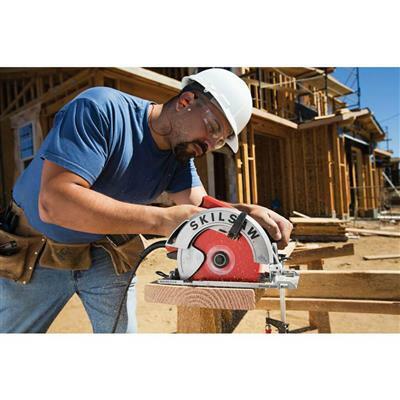 The SKILSAW SPT67WMB-22 15 Amp 7-1/4 in. 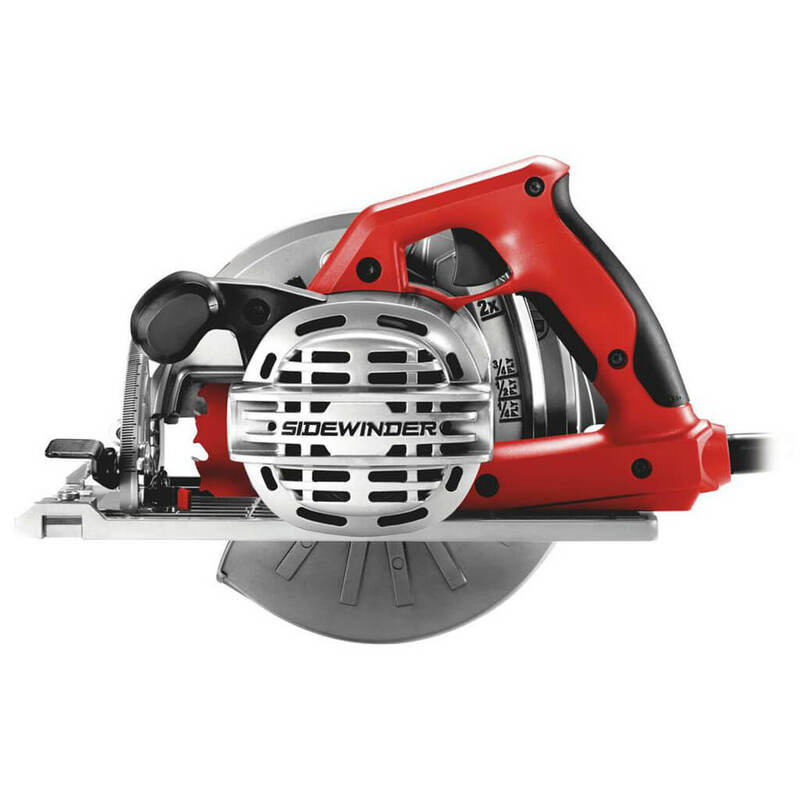 Corded Electric Magnesium Sidewinder Circular Saw with Brake is the circular saw with a convenience brake and all magnesium housing. 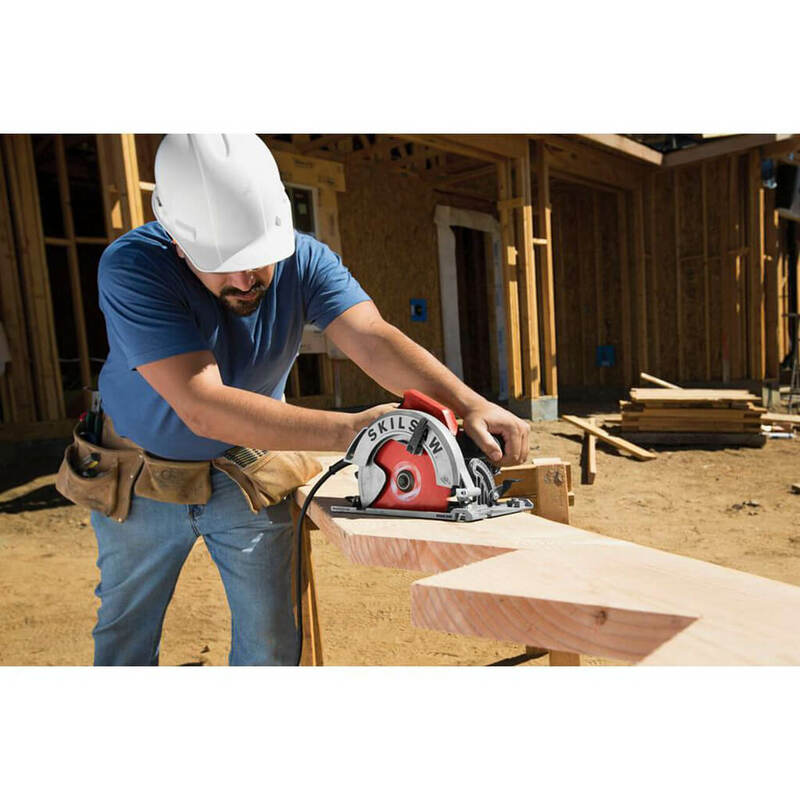 The electronic brake quickly stops the blade so you’re ready for your next cut, making you more productive while the rugged magnesium motor housing keeps the motor cooler to give you powerful performance for a lifetime. Legendary SKILSAW worm drive inspired technology has been integrated into this SIDEWINDER with our best-in-class Dual-Field™ motor to provide reliability and durability. 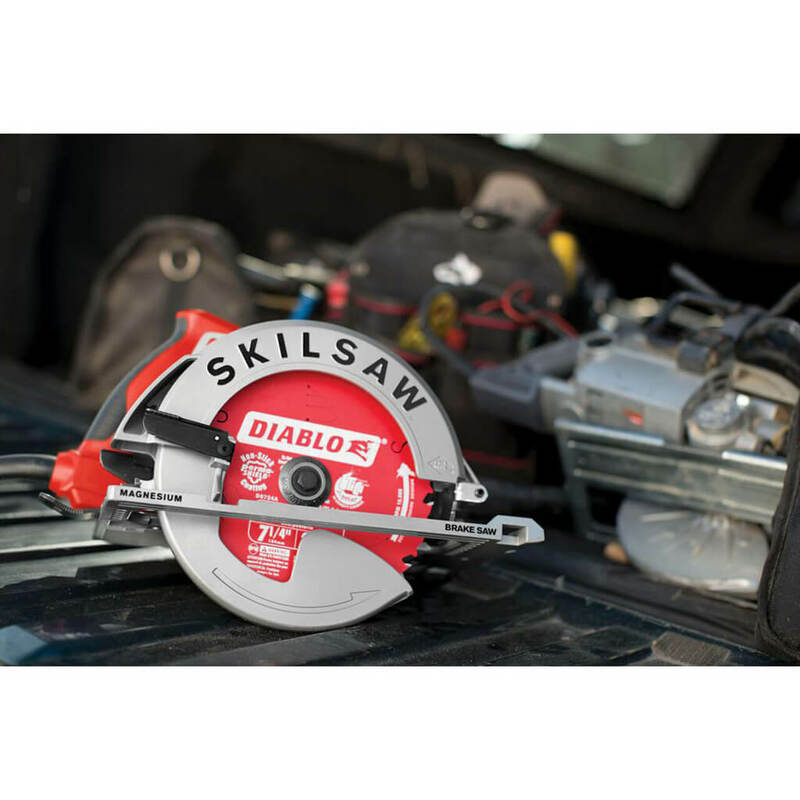 Top it off with a brake and the 56° precision beveling capacity and you will be unstoppable. 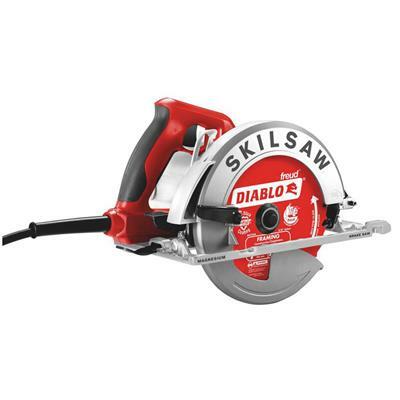 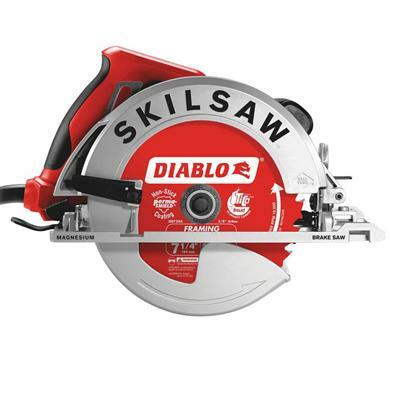 It also comes with a Diablo blade so it’s ready to work hard, out of the box. 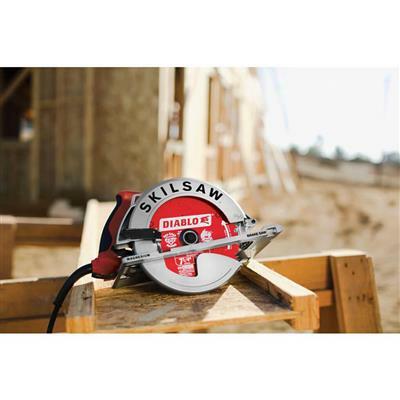 Maximum Cut Depth at 45 degree 1-7/8"
Maximum Cut Depth at 90 degree 2-7/16"